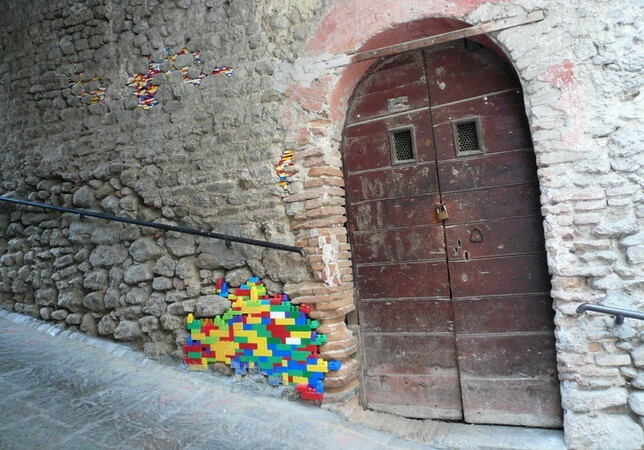 Lego has been fuelling the imagination of children – and adults! – for decades (9, to be precise). 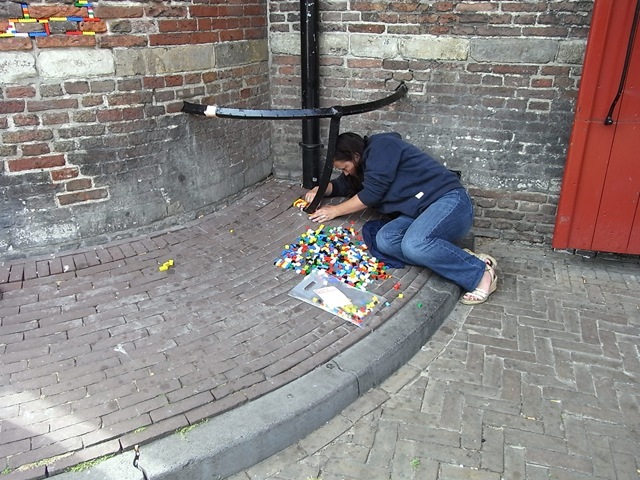 The iconic Lego bricks have become the foundation for endless constructions all over the world, as it is sold in over 130 countries…not bad for the modest little brick that brings you to tears when treading on it. 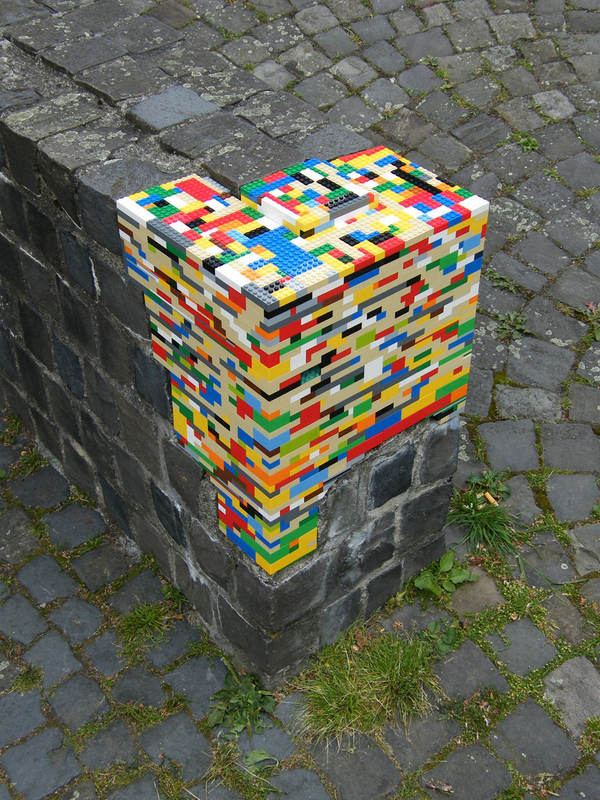 One German artist, Jan Vormann, has taken this idea of construction using the firm childhood favourite slightly further by using pieces of Lego to ‘repair’ crumbling walls and bridges, and to fill obvious gaps in walls and even in pathways and pavements. He’s travelled the globe transforming ordinary buildings, and giving them a new lease of life with the distinctive multicoloured blocks, from Italy to Israel, to New York and The Netherlands. His work was also featured in the contemporary art festival ’20 Eventi’ in Sabina, Italy in 2007. As well as to simply brighten people’s days, he claims he embarked upon the adventure to get pedestrians thinking. ‘Hopefully they would ask themselves why the Lego was there’, as he used Lego bricks to fill cracks in buildings made by shrapnel in World War Two. This was the centre point of his project in Berlin, which evidently turned out to be his favourite piece to date as the blocks drew attention to holes in the walls made by gunfire during the conflict. Vormann’s work has also inspired a following of organisations to take heed and join him in his mission of making the world (or at least its walls) a brighter place. The Dispatchwork Network has gone global, with forums of people submitting their own photos of gaps they’ve filled with the construction pieces in their home towns. 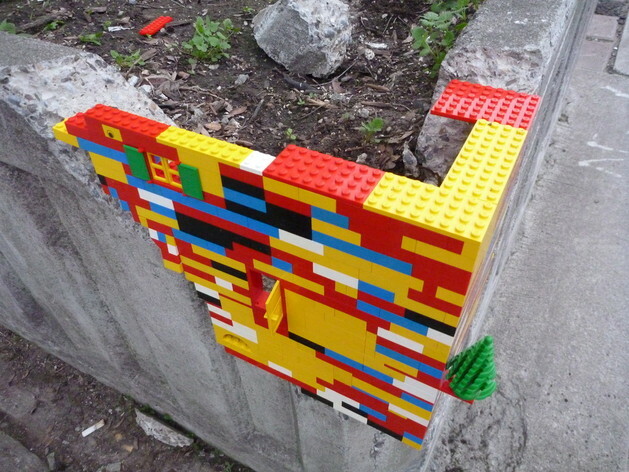 Many organisations have even donated Lego pieces to the project, so if you’re thinking of having a clear out of your household’s old toys, think again before you head to the rubbish tip! I’m an English and creative writing graduate who loves writing about anything and everything – particularly interior design. My dream home would be bright, airy and minimalist. Probably not for very long though! Laura Barns has 49 articles.